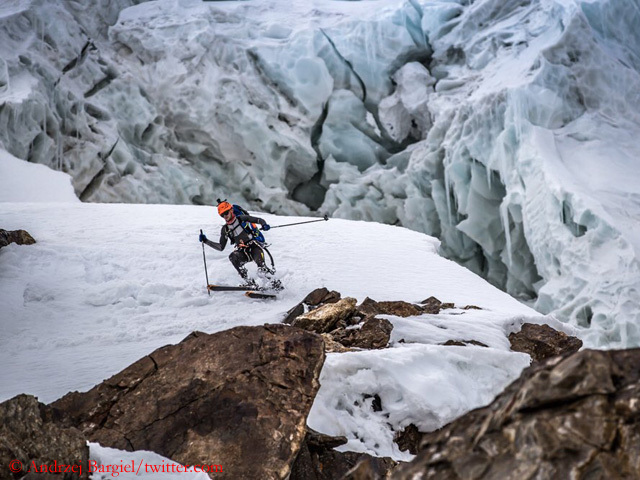 On Nanga Parbat, the new search for Alberto Zerain from Spain and Mariano Galvan from Argentina has finally been abandoned. The rockfall and avalanche risk below the Mazeno Ridge was too high to reach the point from where the last GPS signal of the two climbers had been received, writes Mirza Ali, head of the search action, on Facebook. Finally, Mirza had flown in a rescue helicopter another five laps over the accident site. His summary: “1. 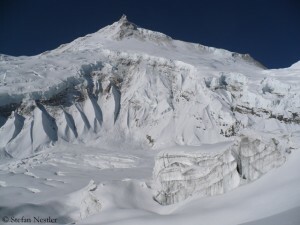 The climbers were swept off the ridge into the crevasse below and buried in heavy avalanche. 2. 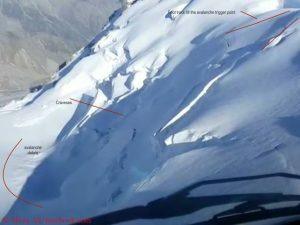 The avalanche triggered above the climbers at around 6,200 meters. 3. After the avalanche there is no further foot track on the ridge.” R.I.P., Alberto and Mariano! 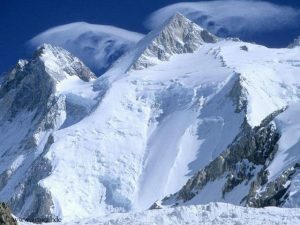 Update 18 July: Along with the two French Maynadier and Rumebe, the American Colin Haley also reached the summit of Gasherbrum II. The three climbers have meanwhile returned to the base camp. “We are happy that we were alone on the mountain and that we were able to succeed the first ascent this season,” the trio said. The spring season on Nepal's highest mountains has segued almost seamlessly into the summer season on Pakistan’s eight-thousanders. The first expedition teams have reached the base camps. 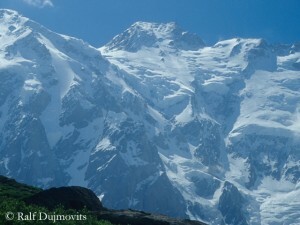 The South African adventurer Mike Horn arrived on the Diamir side of Nanga Parbat a week ago. It is not far from triumph to tragedy on eight-thousanders. 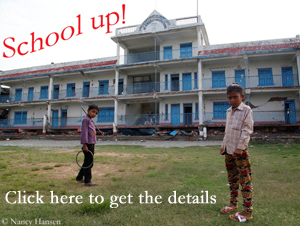 That was demonstrated on Manaslu these days. On Friday, the Japanese Yoshimasa Sasaki fell about 25 meters after slipping on blue ice at 7,300 meters.